Click on each image for a higher-resolution version. 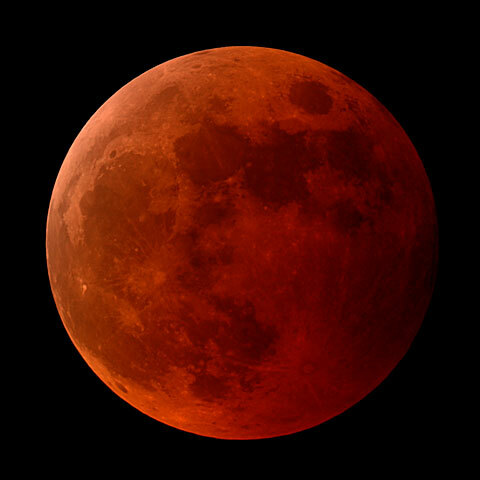 For observers in southern California, the total lunar eclipse of October 27, 2004 conveniently occurred in the early evening hours. 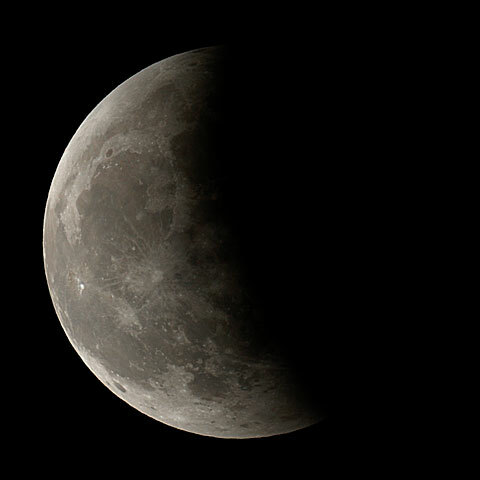 The Moon entered the Earth's umbra at 6:14 PM, shortly after moonrise, with totality beginning at 7:23 PM. Unfortunately, October 2004 was one of the rainiest Octobers in the area's history. Heavy cloud cover prevented us from observing in the early evening, but by mid-totality at 8:04 PM the clouds had broken enough for the Moon to be visible for extended periods. 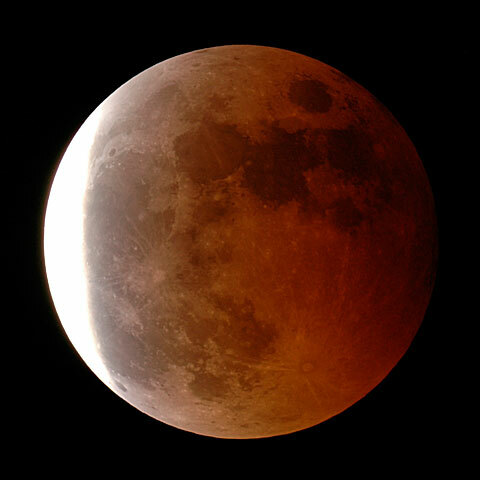 The first image of this sequence at upper right was taken during totality, demonstrating the red color of sunlight being refracted through Earth's atmosphere. 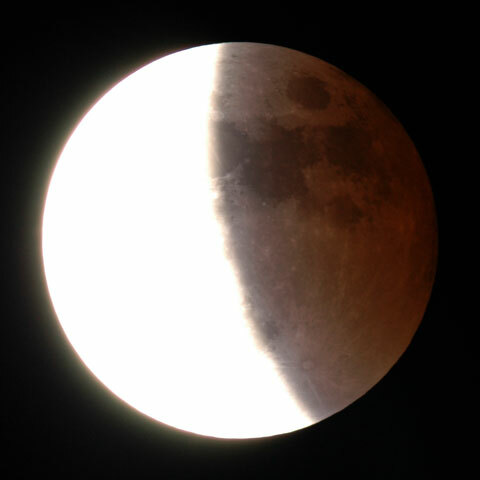 The left portion of the Moon's disk appears brighter because it is near the edge of the umbra, while the right portion of the Moon's disk is closer to the center of the umbra and thus appears darker. The following images were taken as the Moon moved out of the umbra, with more and more of its surface being directly illuminated by sunlight. The two lower images were taken within a few minutes of each other and were exposed differently to show the portion of the Moon's surface outside and inside the umbra. Technical Notes: Unsharp Mask was applied to each image in Photoshop using a radius of 1 pixel and a threshold of 0 at 100%.